20 Mart 2019 Çarşamba 20:02 - 3 reads. The young man holds in his hands a Controller of the game console Xbox, it will be his Smartphone, he begins to play: a puzzle game nowadays on any phone is installed, but a Version of the Blockbuster Franchise Halo in a fantastic resolution – together with other players, anywhere in the world. He does it without a console, the processed graphics and Gameplay, and without a Wi-Fi connection for quick Sending and Receiving of data. He plays just like that, on a streaming service. What you have demonstrated as it has recently on the Campus of the technology group, Microsoft, is nothing less than the end of the video game world as we know it, and other technology company has confirmed on Tuesday the arrival of the Apocalypse: Google announced at the Game Developers Conference (GDC) in San Francisco, the video game platform Stadia, which should start by the end of 2019 in North America and Europe. 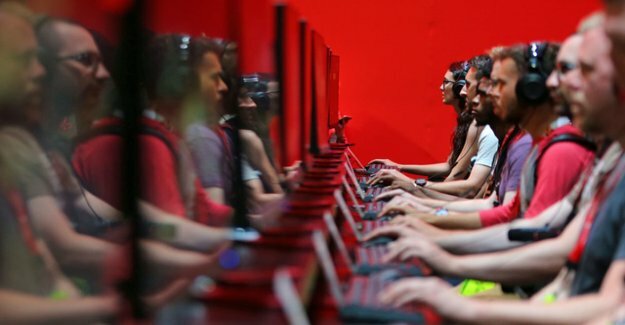 The company presented no console, but a Controller, and the big promise: The people will be able to all sorts of games on all possible platforms to gamble, so, for example, Devil May Cry 5 on the phone, Apex Legends on a Smart TV or Assassin's Creed: Odyssey on the Internet via the Chrome Browser on a Laptop. And you should be able to do that wherever possible. "We are completely rethinking and for the next Generation of Games entirely new ways," said Jade Raymond at the presentation. She's been to the legendary video game Franchise Assassin's Creed responsible, and now the Director of the game Department at Google. The 43-year-old canadian is to develop games for the new streaming service, but it also says: "We will work together with external manufacturers, to get out of this brand-new technology as much as Possible out." The brand-new technology, however, means the beginning of the end for game consoles. This Era has started in the year 1968 with the Brown Box of the German-American developer Ralph Baer. She has brought such legendary devices such as Playstation 2 (Sony), 2600 (Atari) or Dreamcast (Sega) and thus, for these often hard-fought competition between manufacturers such as Nintendo, Sony and Microsoft, will always be referred to as a "war of the consoles". The success of the industry, which is now one of two billion players worldwide, and a turnover of 140 billion dollars per year, has the game and also the communication of the people in a sustainable manner changed. Four billion people worldwide are now connected in some way with the Internet, and want to reach out to the manufacturer of video games as efficiently as possible. Google wants to use the infrastructure of its data cloud with more than 7500 nodes, as well as the Youtube video platform, the games deliver as smoothly as possible to customers, and if you look at, how exactly would that work, then you noticed the huge impact that would have on the entire industry. it is Amazing how fast the service should be available and how smoothly it works in the presentation. manufacturer not makers of their products in the future on data, or to Download Hawking, but, for example, a film advertising advertise on Youtube, at the end of the user on a Button press can start to play immediately. That alone is likely to play in the Distribution of computer and the resulting business models for sustainable change. It goes further: The "Crowd-Play" to ensure that people look, for example, the live stream of a famous video player, you can participate via an invitation to the round of play; or you can continue the game from a friend, if the will send you the Link to the game. The company has been working for years on this service, and the rumors by recruiting well-known video game heats up Manager like Jade Raymond or Phil Harrison (Microsoft). It is amazing how fast the service should be available and how smoothly it works in the presentation. Microsoft's approach is similar. On the game fair E3 in June in Los Angeles the streaming service is to be presented as an extension of the games-subscriptions "Game Pass" officially, and still in this year in a test version will be available. "We will not sell two billion consoles. Worldwide, there are numerous markets in which a console is not part of the Lifestyle," said Microsoft game chief Phil Spencer: "We want to bring our subscription Service as possible to each device. Every person in the world to play the way he would like to." The laid leads to the question of what business should allow models of the streaming services. Imagine subscriptions like Netflix or Amazon, but also Free games, which will be funded via micro-transactions within the games, such as special clothing, dances, or help in each of the Levels. And it leads to the question of whether this is because work everything really go as smoothly as in the case of presentations of Microsoft in Seattle and Google in San Francisco, with the data-nodes just around the corner. Presentations are well designed, everything works. Offside radiant stages, even after the arrival of cellular technology, 5G is not anywhere to make things run smoothly – especially Germany is currently the radio hole Republic. It may take a bit until the streaming platforms are actually functioning in high quality and without interference. However, The giants Microsoft and Google have laid their cards right out on the table, others are likely to follow with their own platforms, such as Geforce Now (Nvidia) and Playstation Now (Sony, perhaps via a Cloud-cooperation with Amazon).